Référence Jaguar # C2P13237. 2002-2007 S type and X type, xk 2006-2011. REFERENCE HELLA 5DV 009 000 00 ou 5DV00900000. Affectations véhicules . Un doute si Avant gauche ou Avant droite. Référence Origine DCB11765. Jaguar XJ Sovereign. phare projecteur avant gauche Neuf. L'envoi se fait par colissimo ou colissimo international. JAGUAR XJ6 SÉRIE 3 -. JAGUAR XJ6 SÉRIE 3. 5 & 3/4" SCELLÉ PHARES HALOGÈNE CONVERSION. Headlight Bulb Type H1. 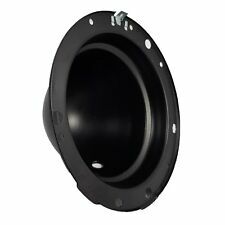 Manufacturer Part Number JAGH1INNER. Classic Car Part Yes. EAN Does not apply. Bulb Type Headlight. JAGUAR MK2. EASY TO CHANGE AND THEREFORE RETRO REFIT BACK. NEW & BOXED LUCAS. CURVED FRONT GLASS. RETRO LOOK. ORIGINAL RHD JAGUAR XJS FACE LIFT L/H (93 car) HEADLAMP WITH FITTINGS VGC JAGUAR LOGO IN GLASS. JAGUAR XJ6 / X 300. O/S DRIVER HEADLIGHT WITH BASE. This outer rim push/snap fits over the inner headlamp assembly. The price shown is for one rim. E type 1971 onwards. depth 23.5mm. Authorised UK Distributor of Lucas Electrical Parts. Zum Verkauf stehen nur die Scheinwerfer . 2x H4 und 2x H1 für den Jaguar XJ 6 / 12 Baujahr 79-92. 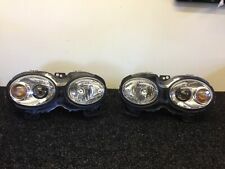 Four new headlights H4 and H1 for Jaguar XJ 6 / 12, 79-92. English speaking! 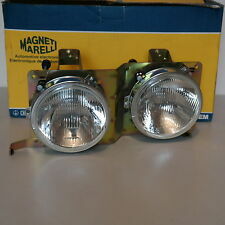 Suitable for E-Types with separate sidelights & round backed headlamp bowls. IMPORTANT INFORMATION. Headlight retrofit kit with bulbs. USA Jaguar XJS. 2X H1 Headlights with bulbs. 2X H4 Headlights with bulbs. With E marks! If you are not sure this is the correct item for your car, you can send us VIN number of your vehicle and we will check it for you! 2 x lampes H4 (60/55 W) avec socle (5 W). -XJ (BJ 1968-1978). Ensemble de deux H4 avec parking lumière (haut et bas faisceau). Ensemble complet de quatre nouveaux phares avec des ampoules. avec 178mm autour de phares. 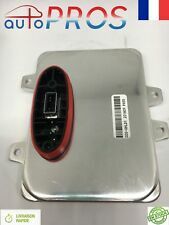 XJ6 XJ8 XJ12 XJR X300 X308 models 1994-2002 (VIN range 720125 through to 899999, F00001 through to F59525). Wing Mirrors. We are a Jaguar vehicle parts specialist, based in the East Midlands. (to find your VIN number see the last six characters of your VIN / Chassis number. ). 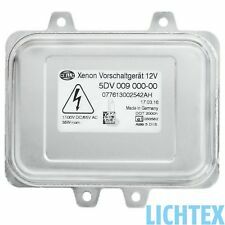 Und zwei Fernlichtzusatzscheinwerfer H1 für den. Zwei Hauptscheinwerfer H4 mit Standlicht. Also perfekt zur Umrüstung oder Erneuerung ihrer alten Scheinwerfer. Vier neue gewölbte Scheinwerfer inkl. Die Scheinwerfer haben ein E-Prüfzeichen für den TÜV. 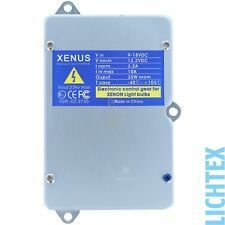 BALLAST XENON HAUTE QUALITE ANTI SURCHAUFFE. 2012-2014 Jaguar XF and XFR. Ballast de phare references. 2014 HYUNDAI SONATA. 2013-2014 Hyundai Santa Fe. 2012-2014 Land Rover Range Rover Evoque. Jaguar Mk1 Mk2 7" Stainless Steel Headlamp Stone Guards Protectors Pair complete with 6 stainless fixings & screws. Attaches direct to the headlamp behind the retaining ring. 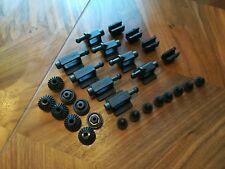 4 x Headlight adjuster kit to repair 4 Headlight. FOR THIS SALE YOU ARE BUYING THE PAIR. I PROMISE THEY WILL NOT RUST IN A FEW MONTHS LIKE THE OTHERS OUT THERE. Suitable for S2 & S3 E-Types, S1 cars have a different bowl with a flat back. MG Specialists Since 1982. Suitable for left hand drive E-Types with separate sidelights & round backed headlamp bowls. IMPORTANT INFORMATION. This item is suppliedNEW and for reference would originally have had the OE Part No.500929. • JAGUAR Mk2 ; YEARS 1959-1967. • DAIMLER 2.5-V8 ; YEARS 1962-1967. • DAIMLER V8-250 ; YEARS 1967-1969. This outer rim push fits over the inner headlamp assembly and is retained by a screw located at the bottom of the rim and acts as the visual finisher to the headlight. 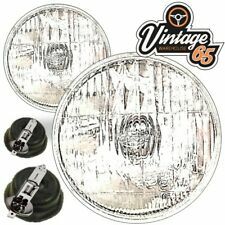 JAGUAR XJ6 & XJ12 7" MAIN AND 5 3/4" SPOT HALOGEN HEADLIGHT CONVERSION KIT. THE BENIFIT IS THAT THEY FIT HALOGEN H4,TYPE BULBS RATHER THAN THE CONVENTIONAL LOW GRADE DIM SEALED UNITS GIVING YOU A MUCH BRIGHTER HEADLIGHT LIGHT IMPROVING VISIBILITY AT NIGHT AND LOOKING MUCH COOLER! Product Code: 11424. Jaguar 420 / Daimler Sovereign Baffle Panel R/H. Providing a full range of parts and accessories for all Jaguars from 1949 - current models, including genuine Jaguar products. JAGUAR XJ6 SERIES 3 -. JAGUAR XJ6 SERIES 3. 5 & 3/4" SEALED BEAM HALOGEN CONVERSION HEADLIGHTS. THE BENEFIT IS THAT THEY FIT HALOGEN H4,TYPE BULBS RATHER THAN THE CONVENTIONAL LOW GRADE DIM SEALED UNITS GIVING YOU A MUCH BRIGHTER HEADLIGHT LIGHT IMPROVING VISIBILITY AT NIGHT AND LOOKING MUCH COOLER! Lucas PF770 late. 2 x No 3461. Jaguar XK140. Headlamp gasket pair. FOR THIS SALE YOU ARE BUYING THE PAIR. I PROMISE THEY WILL NOT RUST IN A FEW MONTHS LIKE THE OTHERS OUT THERE. THE QUALITY OF THESE ARE STUNNING. JAGUAR XJ6 & XJ12 7" PRINCIPAL ET 5 3/4" SPOT HALOGÈNE PHARE KIT DE CONVERSION. Ajouter aux favoris. Page d'accueil. Pair of hyper XJS headlight covers. Perfect to protect those mint lenses! Each has 3 of the 4 clips, but you could likely fashion the 4th, but would still work perfectly. Some light scratches, but they would polish, just being fussy though! Thanks. 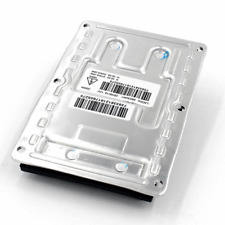 PART NUMBER: JLM10450. XJS (APPROX 1981 - 1990). INNER HEADLAMP. This is a set of 2 main headlamp buckets & 2 inner headlamp retainers. IMPORTANT INFORMATION. MG Specialists Since 1982. Wales only;. Jaguar E Type Series 1. Front front lamp gasket pair. Shown in photos. 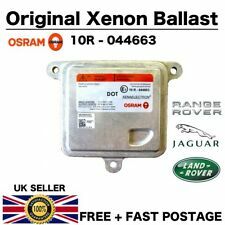 Jaguar part number BD35695 Fits Jaguar models;. PART NUMBER - 73010137N. JAGUAR XKR & XK8 - 03-05 HEADLAMP XENON. JAGUAR XJ8 & XJR 03-05. 12 PIN CONNECTION. This item is supplied NEW and for reference has the Part No. 500929. • DAIMLER 2.5-V8 ; YEARS 1962-1967. • DAIMLER V8-250 ; YEARS 1967-1969. 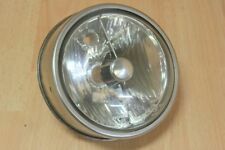 JAGUAR 420G MARK 10 / MARK X HEADLIGHT SURROUND BEZEL 1X. EMPIRE CLASSIC CAR PARTS.